After slackware-current was treated to a massive update last weekend, it could be expected that some 3rd-party software packages needed to be recompiled – especially due to linkage to gnutls but also icu4c libraries. One by one I am working on the big or complex packages in my own SlackBuild repository, and below you will find the harvest of the week gone by. Note that I am also working on a new KDE Plasma 5 set of packages which is unfortunately quite challenging due to migration of many applications from kdelibs 4 to frameworks 5… lots of compatibility issues to resolve before packages start compiling again. I would have liked to have them ready for release before the end of august but I am afraid that I may not succeed. Anyway. On to the real news. Surprise: I wanted to just recompile my LibreOffice 5.0.0 packages but then I checked the Document Foundation blog and found the announcement – very fresh – of version 5.0.1! I took those sources and did a trial run of a LibreOffice compilation on my OpenVZ virtual machine which I am renting from HostUS at a very reasonable price (thanks to providing them with a Slackware 14.1 installation image for OpenVZ). With a compilation time just over 5 hours instead of the 16+ hours in my QEMU virtual machine…. this VPS is a winner. LibreOffice 5.0.1 is a bugfix release. According to the Document Foundation “LibreOffice 5.0.1 is targeted to technology enthusiasts, early adopters and power users. For more conservative users, and for enterprise deployments, TDF suggests the “still” version: LibreOffice 4.4.5“. I offer 4.4.5 packages for Slackware 14.1 by the way. They should also work on -current, but I have not yet tested. Let me know if you tried! 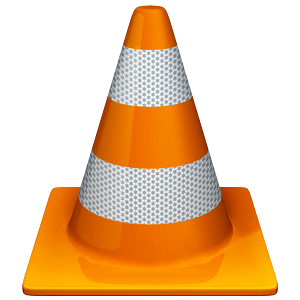 Some VLC plugins were broken due to missing system libraries after the Slackware-current update. So I have rebuilt my VLC 2.2.1 packages for Slackware-current. At the same time, I updated some of its internal libraries: libbluray, ffmpeg, libva, live555 and vdpau. The tigervnc package in Slackware-current’s “extra/” directory does not work anymore since the big update. We will have to wait until Pat finds the time and the willingness to do something about that. In the meantime, my own tigervnc packages for Slackware-current also stopped working, so I have rebuilt those and you can download the version 1.5.0 package from my repository if you were using Slackware’s package until now. This upgrade is not a bad thing anyway, the version 1.5.0 offers noticeable advantages (speed- and functionality-wise) over the old 1.1.0 in Slackware. Note that you can use slackpkg+ to manage your 3rd party packages if those are maintained in Slackware-compatible repositories (like mine). The “slackpkgplus.conf” configuration file for slackpkg+ already has example entries for my repositories – it will be a matter of “slackpkg update && slackpkg upgrade libreoffice” to upgrade to my latest versions. Posted: 28 August, 2015 in Slackware, Software. LO multimedia support is broken. When I put sound on a slide Impress hangs. It works fine in 4.4.5 repackaged from rpms. ivandi, how do you “put sound on a slide”? Can you share such a file so I can try and reproduce it? Just open Impress and from the menu select Insert -> Media -> Audio or Video to link an audio file to the slide (in format supported by gstreamer 0.10). In working LO you can preview the audio and play it in the slide show. The same goes for a video file. I tried here, with a couple of .OGG files I have on the local disk. It takes an awful long time for Impress to respond after selecting the OGG file and clicking “open”, but after something like 10 seconds Impress responds again and the music file is embedded in the presentation. When I present the slide full-screen, a similar delay occurs, not as long as when selecting the media file, before the presentation starts. So yes: there seems to be a hang, but it passes. Well, looks like I took the long delay for a hang, but there is no any delay/hang in 4.4.5. I just repackaged LO-5.0.1 on a stock full install fully updated Slackware64-current. Multimedia works fine. No delays no hangs. I attached a bunch of /usr/share/sounds/KDE-*.ogg to a single slide. I can preview any one of them and they play simultaneously when I hit F5. So it is not an upstream bug. Looks like this is related to the use of gstreamer-1.x instead of 0.x like I do with the LibreOffice 4.x packages. I recently upgraded to LO 5.0.0 and now 5.0.1. It seems to work OK except for printing: each time I try to print a document, I get a “Can’t start printer! Check configuration.” error. It’s weird since I can print from kde apps (kmail). I’m on x64 current (upgraded this morning), and only have network printers to check. As anyone encoutered such a problem? PS: Thanks Eric for all you work on packages! Thks for the rebuilt VLC. — DVD’s only show the title screen. This is with the restricted version. This is not meant to be complaint, I am just curious whether or not other users see the same symptom. I appreciate your feedback! It is always good to have the question, and the answer, on the same page for other people to find.